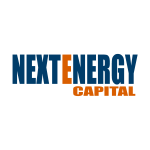 NextEnergy Capital is pleased to announce the appointment of Mr. Kerim Kaskal to its Advisory Board. He joins Mr. Corrado Passera, Sir Edward Davey and Dr. Jeremy Leggett, the existing members of the Advisory Board. Mr. Kaskal has long-standing professional experience as an investor across multiple asset classes. Previously, between 2013 and 2015, Kerim was Chief Investment Officer of AP3 – Third Swedish National Pension Fund. In 2015, he founded and was a portfolio manager at Ambrosia Fonder, an independent asset manager based in Stockholm, Sweden. Before that, Kerim was co-founder and portfolio manager of Nektar Fund (a Brummer & Partners hedge fund with c.$4bn assets under management).